Over to Kurt Cobain, “When I finally got to see SHONEN KNIFE live, I was transformed into a hysterical nine-year-old girl at a Beatles concert”. Ground-breaking all-female Japanese pop-punk rock trio formed in Osaka in 1981, inspired by late ‘70’s punk-pop particularly The Ramones. Inspired, the band crafted their own idiosyncratic songs, fashioned brightly coloured outfits and DIY albums and signed to Sub Pop. The cream of the of the alt. rock scene (Sonic Youth / L7 / Redd Kross) covered their favourite Shonen Knife songs on the tribute album ‘Every Band Has A Shonen Knife Who Loves Them’ and the girls toured with Nirvana (on the ‘Nevermind’ tour), The Breeders and as part of Lollapalooza. They even recorded sessions for John Peel and appeared on MTV’s ‘Beavis and Butthead’. fast forward to 2009 and appearances at Matt Groening’s curated ATP, Summer Sundae festival, Incubate, Le Guess Who? Handmade Festival and, quite literally, worldwide touring alongside acclaimed albums Supergroup, Freetime, Osaka Ramones, Poptune and Overdrive. Oh, and regular BBC6 Music sessions for Marc Riley and Gideon Coe. 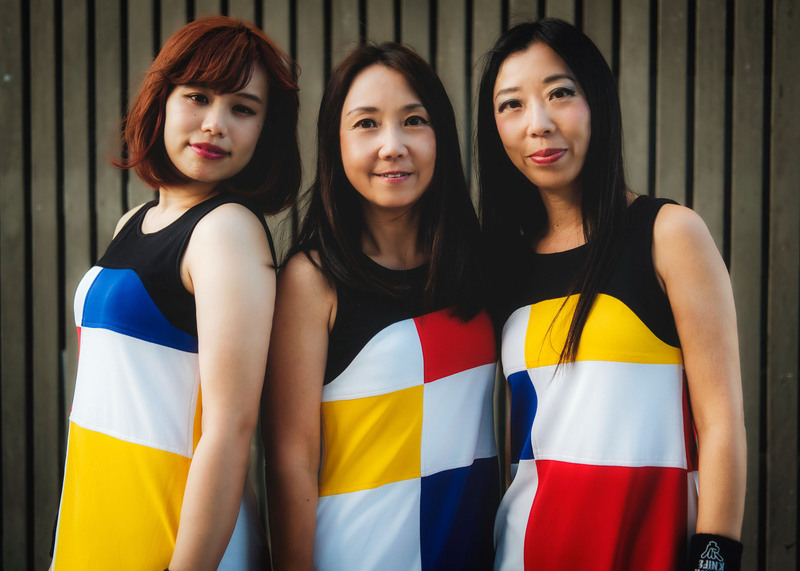 Recently celebrating thirty five years in rock, Shonen Knife show no signs of slowing down!